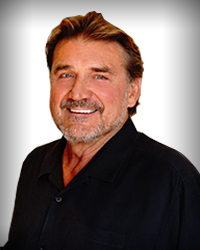 Dan Pastorini joined the Atlas Settlement Group Houston, Texas office as a marketing consultant. He is an effective and innovative marketing expert with extensive media and public relations experience, Dan has demonstrated his ability in high-profile projects, sponsorship awareness, inspirational and motivational public speaking, sales planning and sales management. Born in San Francisco and raised in Sonora, California, graduated from Bellarmine College Preparatory (San Jose, CA), awarded a baseball scholarship to attend Santa Clara University and majored in Business Administration. He was the #1 draft pick of the Houston Oilers and the 3rd player picked in the entire NFL draft in 1971. For thirteen years, Dan was one of pro football’s most famous players. He was starting Quarterback for 9 years with the Houston Oilers. In 1978 and 1979, he led the Oilers to the AFC Championship games against the Pittsburgh Steelers. He went on to play for the Oakland Raiders, L.A. Rams and the Philadelphia Eagles. In 1974, he was selected to play in the coveted NFL Pro Bowl, throwing a record 74-yard touchdown pass. He retired from the NFL in 1984. He is an extraordinary leader with a deep understanding of the power of teamwork and the necessity of motivation. His college education as well as his practical experience, whether on the playing field, the racetrack or in the business world, all demonstrate his interest, understanding and appreciation of these principles.